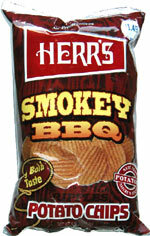 Taste test: These rippled chips have a good crunch, are not greasy at all and have an outstanding barbecue taste. 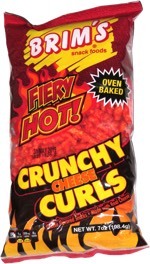 They taste as if the chip was dipped in a bowl of barbecue sauce. The bbq taste is not too spicy, hot, or sweet, it's just right. Very good chips! Smell test: A rich smokey aroma reminiscent of a barbecue pit. Mmmmmm.